33cl bottle. Hazy dark golden with a small white head. Plums, yeasty and herbal. I was expecting more but nice though. Hazy light amber color. 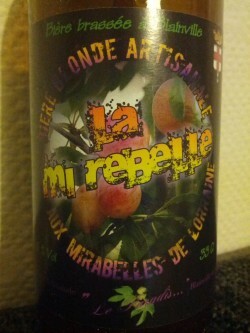 It has a delicate aroma of plums, and light fruit schnaps too. Good body, round mouthfeel; it still has a moderate residual sweetness, although the strong bitterness is prevailing; mild fruity character, with woody, a bit astringent final. Not a bad beer, correctly brewed, but also fruit and bitterness don’t work well together usually.